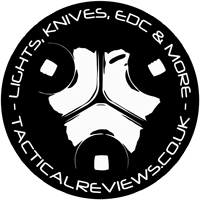 This year at IWA, Tactical Reviews is throwing down the gauntlet and asking the knife trade “How sharp can you go?”. OK, it’s actually a lot less formal than that, a ‘just for fun’ competition to see who can create the finest edge on a knife blade, by any means they choose. Entry is free and open to all exhibitors and visitors to IWA 2019 (see rules below). There is no prize beyond the warm feeling the winner will have, knowing they had the ‘Sharpest Knife at IWA’. 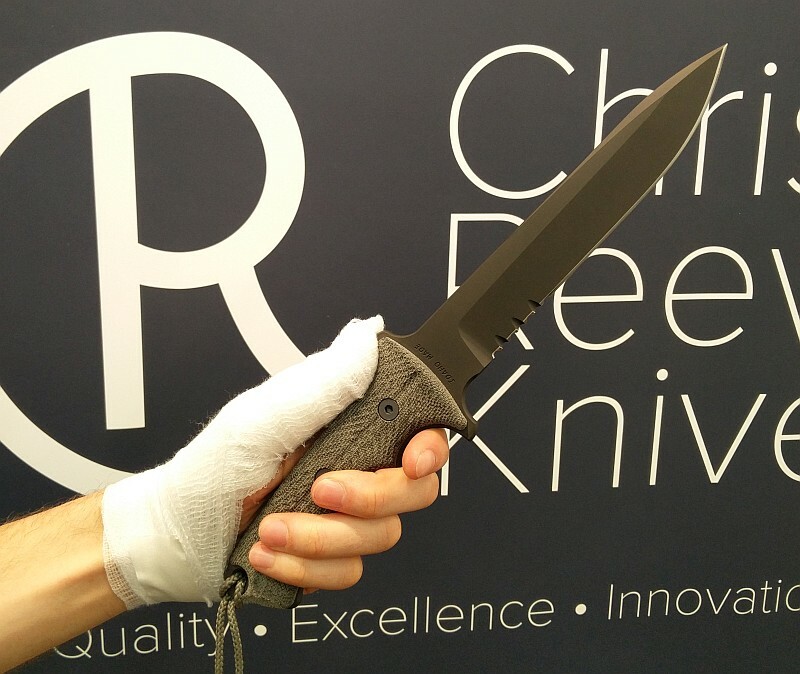 Come and find me with the awesome people at Chris Reeve Knives in hall 5, stand 5-135, on Sunday 10th March between 16:00 and 17:00. Get in early or you might miss out. 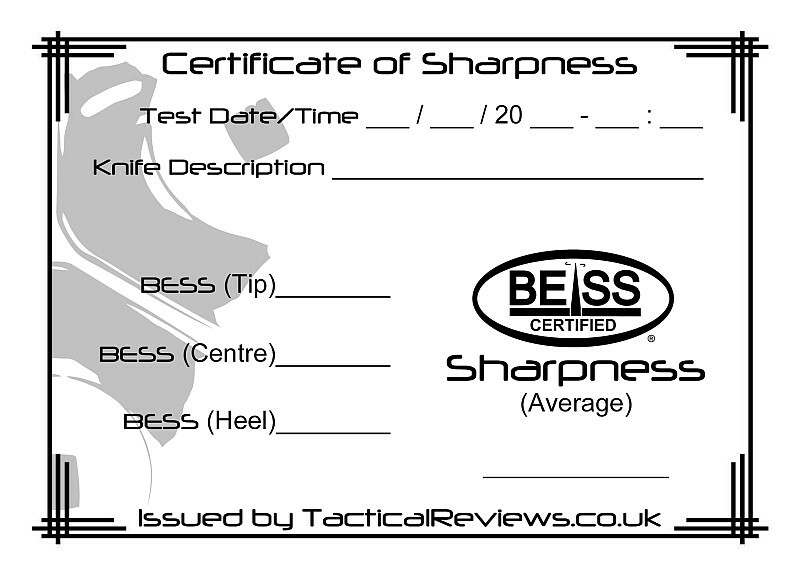 Every knife tested will be given an official sharpness score and certificate. A measurement will be taken initially in the centre of the blade, then the heel, then the tip, and an average value taken. This will test the sharpness over the entire blade, not just the easiest part to sharpen. Open to all knives, custom-made or production. – No Razors allowed. Kitchen knives, though allowed, are NOT eligible to be overall winner; they have been found to have too much of an advantage, so may be entered for an honourable mention only. 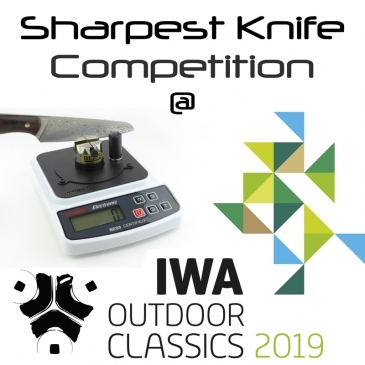 Any knife deemed not to be in the spirit of the ‘sharpest knife’ contest will be disallowed (surgical/laboratory etc.). Open to anyone – Professional / Maker / Amateur / User. Knives must be submitted either folded or sheathed, with the cutting edge covered. 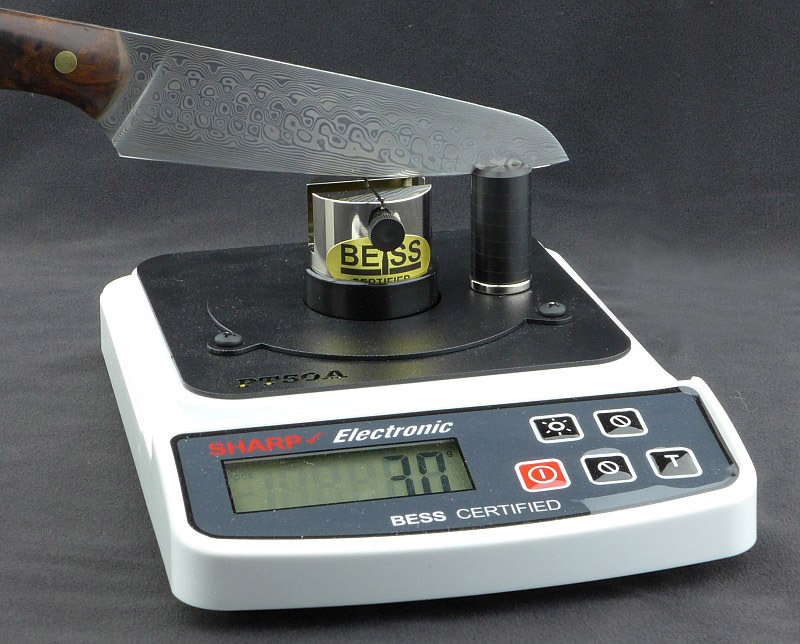 Each knife will initially have a single measurement taken. If the result is within 50 BESS of the leading entry, further measurements may be taken (at the discretion of the tester). 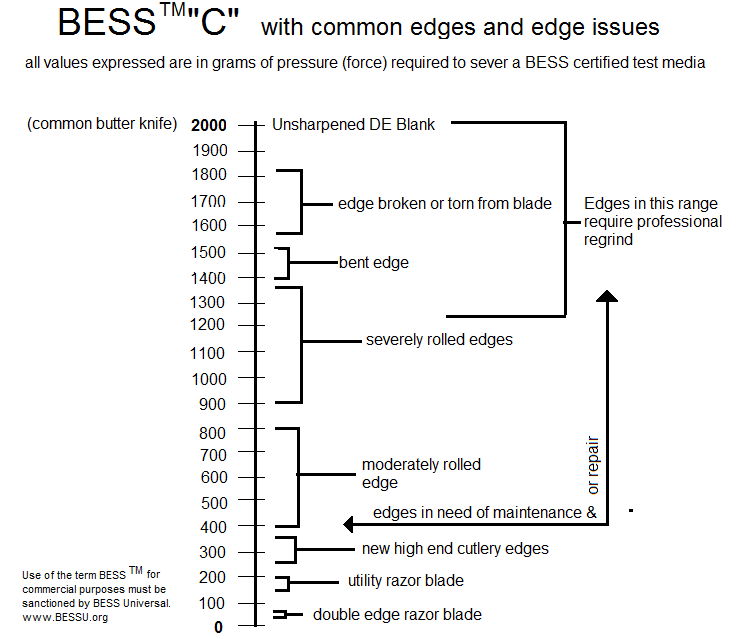 Subject to the previous rule, each qualifying knife will then have a set of three measurements taken along the blade (centre, heel and tip) with the average BESS score counting as the result. In the case of a draw, the lowest individual score will be used for secondary ranking. If there is still a draw, the first one tested will win. The tester’s results are final – No knife may be entered twice. The winner will be announced at close of the competition. IMPORTANT: You undertake the competition at your own risk and your health and safety is your own responsibility. By taking part in this competition, you agree to indemnify the organisers and their agents against all costs, losses, damages, injuries, expenses and liabilities suffered as a result of your participation. No liability can be accepted for damage to any knife entered.